I am so incredibly grateful for all the support I’ve been shown during the launch of my second novel, The Gift, and absolutely delighted it has now been No.1 on Amazon in the UK for over 4 weeks and is in the Top 10 in Psychological Thrillers in the US, as well as debuting on the USA Today BestSellers List this week. 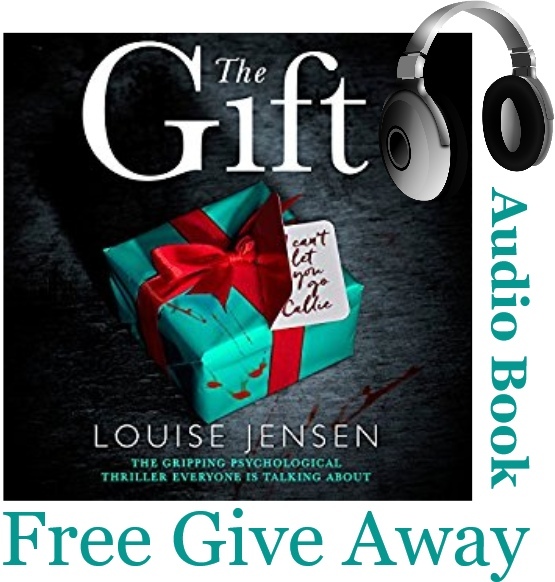 As a thank you I am giving away two audio versions of the book, narrated by the super talented Jasmine Blackborow (I’ll supply codes which can be redeemed on Audible). To enter either click this link to my Facebook post to nominate someone you would like to gift a copy of the audiobook to, or follow this link to my Twitter page and retweet to win a copy for yourself (you can enter both if you wish). The competition is open to all and winners will be generated at random on Sunday 22nd January.